The Broadcast Journalism program at New York Film Academy attracts students from across the United States and around the world. Some are practicing journalists in their home countries, others recent college graduates looking for the digital production skills necessary to stand out in a competitive job market. But some students come to NYFA in preparation for a total career change. One of those students was Dr. Nicole Cross, a practicing psychologist from Texas. Having gained initial media experience as a guest and host on programs in her hometown of Houston, Nicole decided the time was right to change careers. Her goal was to become nothing less than an outstanding digital journalist. 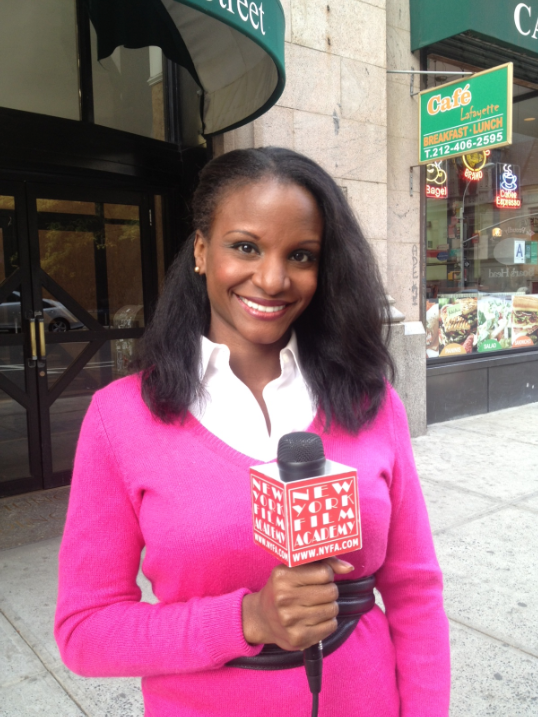 NYFA’s 8-Week Broadcast Journalism program offered exactly the kind of intensive training Nicole was looking for. Our “hands-on” emphasis gave her a chance to first learn, and then practice skills essential for success. At first her news stories were a bit rough, as was her on-camera reporting. Still, that’s to be expected of someone just starting out. Over the following weeks, we gave her guidance and support. Eventually she became not only a proficient reporter, but was comfortable both shooting and editing her own stories. Nicole used world famous New York City landmarks as backdrops for her stand-ups. As a result, her stories looked like they were shot for a major market newscast. Times Square, the United Nations, Central Park, Manhattan’s fashionable Soho district… They are all included on her resume reel. She even took a day trip to Washington, DC where she assembled with other news crews to cover President Barack Obama’s Veteran’s Day address at Arlington National Cemetery. 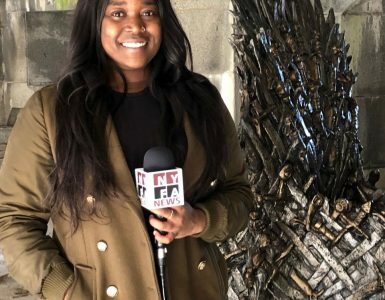 Nicole’s determination, mixed with the NYFA Broadcast Journalism curriculum, has given her a shot at success as a digital journalist. One veteran network news producer looked at her reel and concluded it could immediately get her a job in a small to medium TV market. We are proud to help our students acquire and sharpen the skills that will help them reach their career goals. Whether those goals encompass hard news, sports, entertainment or fashion, the abilities they learn at NYFA will make them and their work distinctive. For more information on NYFA’s Broadcast Journalism Programs, visit here.